It seems like every year, some foolish pet owner makes the idiotic (I think we’d all agree on this use of adjective here) decision to leave their pet in their car on a 95 degree day while they run in to the store for “just a minute”. Now, since more and more animal protection laws have been passed throughout the country, more people are noticing when someone is doing something wrong and speaking up about it! Some do the right thing and contact authorities while others do things such as public shaming in person or on social media – or worst case, taking things into their own hands regardless if its legal or not. We in the animal welfare field obtain a vast amount of knowledge. We know how animals tick. We know their behavior and we even (sometimes) know how to predict how they are going to react, but maybe one of the biggest struggles for some of us is working with the public. We can care for all the animals we can in brick and mortar shelters, in foster homes and in animal control facilities, but what happens once these animals get adopted and go out in to the real world? The key here is EDUCATION. We need to educate the public the best that we can to ensure the animals we are caring for day in and day out stay protected. Are they always going to do everything exactly by the books? No. But that’s life and people make mistakes. The most we can do is be sure owners are educated, be sure people know that a metal box with leather seats is NOT going to stay cool in the shade with the windows cracked on a 90 degree day. But, how can you educate these owners when they don’t want to be educated….through fines?! Sometimes! Massachusetts recently passed a law in November of 2016 to protect animals who are left in vehicles in extreme temperatures (both hot and cold) through M.G.L. Ch. 140 Section 174F. 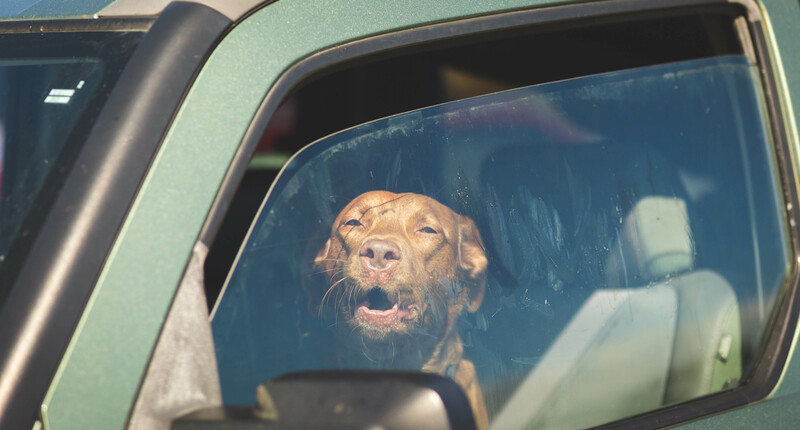 Under this law, the owner or keeper of an animal left in a vehicle in these conditions is subject to a fine not more than $150 for their first offense- and it only goes up from there. Does this mean if they get a ticket they will never do this again? Maybe. Or maybe they’ll become sneakier because they don’t believe you are right; maybe they’ve been doing this for years and nothing has ever happened to their pet. Working with the stubborn folk can be difficult and we can’t let our emotions get in the way of doing our work. Just keep thinking….EDUCATION! Animal Control Officers in Massachusetts should be “armed” with a heat radar gun – they have the capability to show pet owners how hot it gets in their vehicle on a 90 degree day, we can educate owners on the signs of heat stroke (show them photos! ), educate them on how painful it is for the animals, how it can affect their bodies several days after the face and potentially even be fatal! If you entered the animal field because you “hate people” – the most important thing I can tell you right now is, choose another field. To help animals, you must be willing and open to working with people who own these animals. Be the change you wish to see in the animal world and EDUCATE!